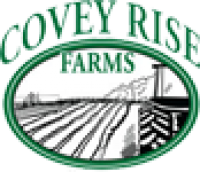 Covey Rise Farms is located near Husser, Louisiana in central Tangipahoa Parish and is part of the Covey Rise Sportsman’s Retreat. The Farm started growing vegetables on 10 acres in 2009 and has expanded to 50 acres for the 2013 season. Our vegetables are enjoyed at over 40 of the New Orleans area finest restaurants and by our Local Produce Club/CSA members. We grow multiple varieties of over 30 types of vegetables throughout our growing season which is year round. Our Local Produce Club/CSA runs in the spring and fall during heart of the growing season and includes both cool and warm weather crops. We grow conventionally under the direction of a retired LSU Agriculture Professor, who acts as our crop consultant.